With the rising popularity of online meetups, we became inspired by the dangers we might encounter if the meetup becomes potentially dangerous. This idea then led us to think about other dangerous or potentially dangerous situations users face but cannot readily report (ie. going home alone in the dark, etc). 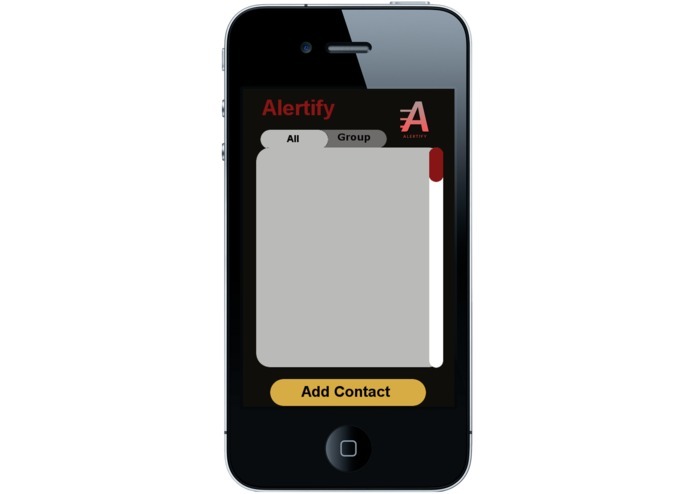 Alert!fy allows users to easily notify their contacts within a set radius through a customized SMS message. Even without wifi access, people may be alerted of surrounding dangers instantly. The phone accesses the geolocation of each contact to alert those within the alert radius, calculating the distance between. In addition, each user may easily add contacts and organize the contacts into groups for easy alert. First, the logo and the mockup user interface was created with Photoshop and Gimp. 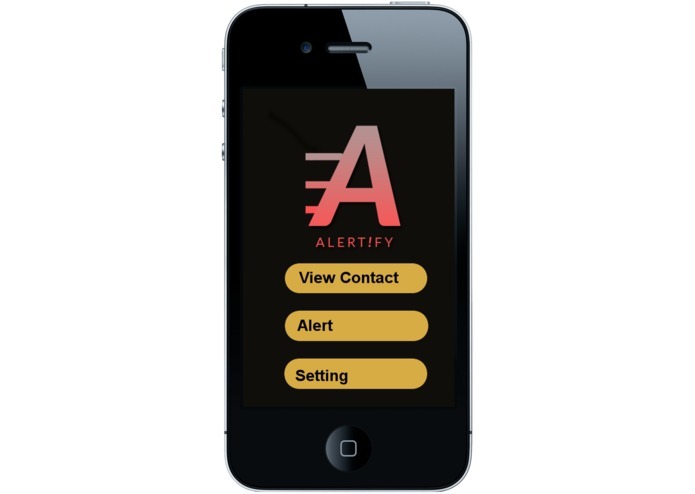 After there was a clear vision of the interface, a demo of Alert!fy was created.This application was built in Python using the Kivy framework, which comes with many preset layouts, transitions and app elements. Also, it is a compatible framework for various platforms, including desktop, android, and IOS. The alert feature relies on SMS messages, so twilio was used to get the messages to the designated phone numbers. For several of us, this was our first hackathon so balancing the workload and planning out our go to strategy is a feat. All of us are also unfamiliar with mobile development and were learning how to use Kivy for the first time. As a result of this, many of our challenges involved using the Kivy framework as we were unfamiliar with its syntax and errors arose from this. This was the first hackathon for several of us so to be able to finish a (somewhat) working prototype is an accomplishment we’re proud of. Learning how to use a framework in such a small timespan is another accomplishment. To reiterate, we were most familiar with web development so we had to learn how to use Kivy for the first time. We also learned how to obtain the geo-location of the user without prompting. In the future, Alert!fy will have more additional features that makes the user location more visual, with a map that pinpoints where surrounding users are. Users may also preview the alert radius on a map for a clearer sense of distance. There will be a new mode of alert for emergencies that alerts the nearest police department.